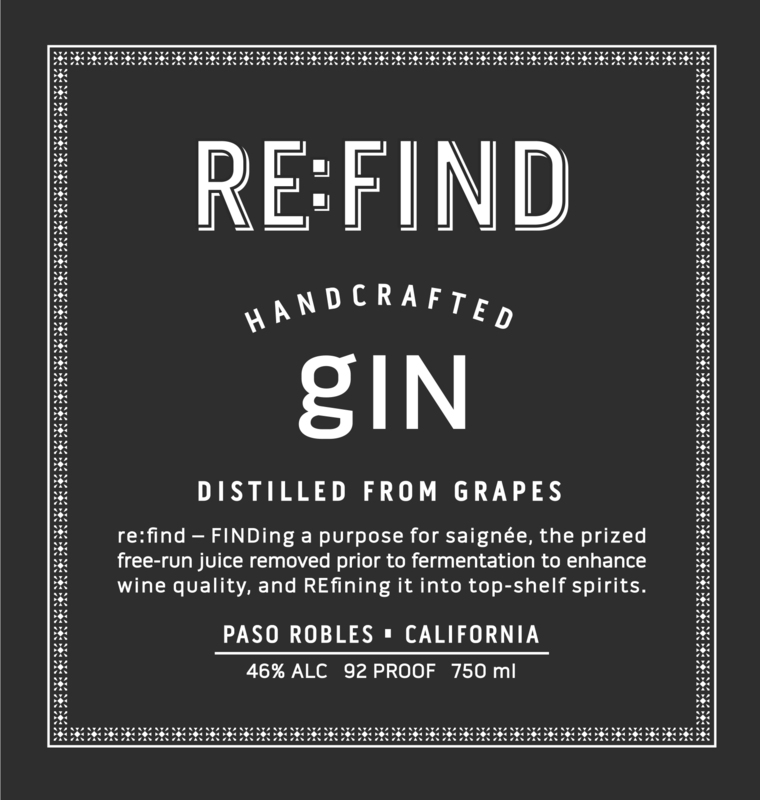 Re:Find Distillery has the luxury of starting with a premium base fruit, ripe red-wine grapes, which affords the ability to craft superior spirits. Re:Find Gin starts as Re:Find Vodka for the ultra quality base. The Re:Find vodka is placed back into a copper still and a proprietary blend of botanicals is added through vapor pass, including juniper berry, coriander, orris root, lemon & orange peel, grains of paradise, and lavender to impart a rich gin flavor. Due to the unique character of this wine grape based spirit, the gin has a soft, sweet, lingering finish. Sustainability is the catalyst of this project, so most of the botanicals are sourced from from farms on the Central Coast of California. Naturally gluten free.